God – I AM presents a compendium of over 700 names, titles, and attributes of God, from the Authorized version of His Word, the Holy Scriptures, with accompanying Scripture verses, and illustrations, including additional writing to assist the reader to draw nearer to God, our benevolent Creator. God is not a “cosmic sugar-daddy”, but a good, and loving heavenly Father, who desires that we know Him. He is far greater than we can ever comprehend. God’s Word itself has power. 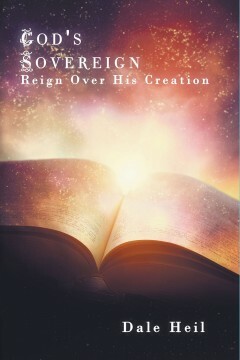 This book is designed that the reader may know God’s names, and for His glory. T. L. Steele is an author and book illustrator, born in the north of England U.K. and now residing in Ontario, Canada. She is a keen student of the Bible, and is well-travelled. She has a Diploma in interpretive book illustration from Sheridan College, Ontario, as well as a Diploma in Education and Training from Sunderland University, England. process, whatever their challenge or life situation or creative abilities. This is a story of Corrine’s journey with breast cancer, travelling along a path that led to a deeper sense of awareness and joy. 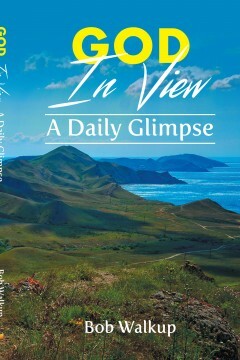 It’s a story of being awakened to God’s surprises in her life. 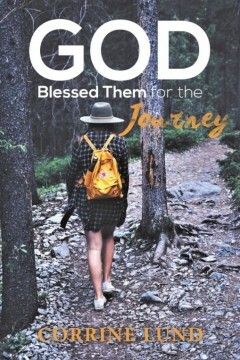 Corrine Lund, author of God Blessed Them for the Journey, is a wife and a mother and newly retired after being an art educator for over twenty-five years. Corrine is also a cancer survivor who used her creativity for support throughout this challenging experience as well as to “have a little fun” on the journey. In the process of creating one of her many journals, Corrine added her handprint to each journal page. She squeezed ample amounts of acrylic paint onto a large paper plate, choosing colors that seemed appropriate to that day’s entry… some days called for bright, cheery colors while other days were dark and moody. Occasionally, there was even a need for a touch of glittery gold paint! Corrine wiggled her open palm around in the wet paint, mixing the colors and then stamped a full handprint on the page, nally writing around the handprint. Somehow, becoming physically involved with the paint was almost as therapeutic as the actual writing. “Feeling the thick paint on my hand seemed to relieve the stress of the moment and sometimes added to the playfulness of the process,” Corrine described. Living a spiritual life is a gift from God. Bob’s contagious inspiration in God In View comes from the deep well of wisdom from the Bible, but it also comes from his years as a pastor in three congregations. His encouragement for us reveals his ministry in eleven developing countries in Africa and Asia where he learned the beauty of people across the globe. His devotionals have been sensitized by his recovery from a serious mental illness. God In View is presented in a daily, calendar format. Join Bob in his exploration to discover new insights for living. Invisible Real Life GODSELF REVEALED becomes visible sight through contemplative meditation. Comprehensive study of ancient wisdom, religion, law, man and society ~ sociology, and scientific discovery, in realization of prompting from the singularity of GODSELF REVEALED COLLABORATION, the authors advocate Self-Realization of God and Self Being ONE. REVEALMENT AND THE OMNIS empowers all good people to be in Harmony and Live Wellbeing. While on a contemplative walk in the Kettle Moraine Forest, Mr. Max Taylor, Professor Emeriti at The University of Wisconsin, Whitewater asked Universal I Self what his purpose and meaning in life should be. The immediate answer was, ‘go forth and be my Consciousness.’ Since that time God Conscious Oneness has been the focus of his attention providing what more he needed to know. On an Iowa farm Susan Schulte learned about Jesus and patience. Assistance from our source of energy avoids egotistical human feelings that burden us with stress and suffering and GODSELF keeps us in Harmony. Christians are called to represent the Jesus Christ in a society that is becoming insensitive and cruel. Satan and his demonic spirits (the enemy) main priority is to use people who do not know Jesus Christ or use those who deny Jesus Christ as their Lord and Savior to target you for distraction, deception and ultimately your destruction! Consequently, you will be bullied by those who are being misled by the enemy. Bullying can affect you in many destructive ways. 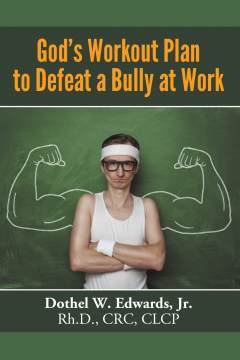 This book will unlock the power of God in you through a workout plan to defeat the bully at work. Dr.Dothel W. Edwards, Jr. is a tenured professor in the Department of Rehabilitation Studies in the College of Health Sciences at Alabama State University (ASU). In addition to his full-time faculty responsibilities at ASU, he provides vocational expert witness testimony for the Social Security Administration Office of Hearing Operations (OHO) and works as a Certified Life Care Planner and a certified Vocational Rehabilitation Counselor. Dr. Edwards’ has published and conducted presentations in the areas of interests are quality of life issues among persons with disabilities, professional ethics in vocational rehabilitation, forensic rehabilitation, and workplace bullying. It is not just an alternative, but truly the living one. Every person regardless of religion, culture, and philosophy is on a spiritual journey of some sort. Yet most people encounter the frustration of regressing instead of progressing. It is no different, especially for those who consider to be Christians. According to research, only a few will truly experience the kind of whole-life transformation described in the Bible. Will this be true of you? 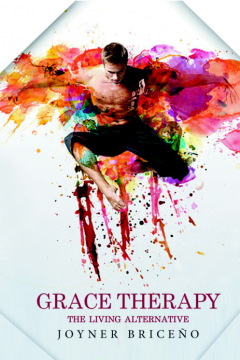 The outcome of Grace Therapy: The Living Alternative will significantly boost the transformational quotient of your life and enable you to experience God and life in startlingly new and exciting way. This means experiencing the true, unique freedom propelled by a supernatural power to overcome any obstacle in your life. Traditionally attributed to King David, among others, the book of Psalms is a collection of 150 songs in praise of the Lord, containing some of the Bible’s most beautiful and inspiring verses. For centuries, Jewish and Christian people all over the world have turned to the psalms to give praise and thanks as well as to seek comfort and solace. Yet for many modern readers the messages in some psalms are not always clear; some are challenging, even obscure. The commentaries in this companion to the psalms show how each psalm can help with the problems of everyday life. 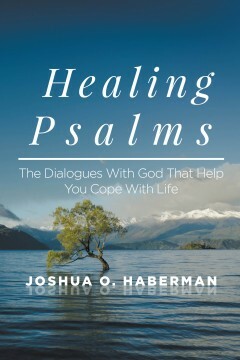 Featuring a cross-referenced index to help you look up specific feelings and situations – from love and grief to happiness and depression – Healing Psalms illuminates the meaning in each psalm and shows how these “dialogues with God” offer support and healing, whether you’re seeking deliverance from suffering, expressing love, giving praise for good fortune, or commemorating a special occasion. Whereas other books of the Bible portray God speaking to people, the psalms were written by real people speaking to God. They wrote from the heart, reflecting their joy and sorrow, pride and shame, love and hate. They tell of sleepless nights, of everyday struggles, of birth and death. Intended for readers of any faith or spiritual tradition, Healing Psalms will guide and inspire you through life’s many obstacles and celebrations and bring you into closer fellowship with God. Joshua O. Haberman escaped from his native Vienna after the Nazi occupation and earned his doctorate in modern religious philosophy at Hebrew Union College in Cincinnati. He has preached at the White House, co-officiated with Billy Graham at the National Memorial Service 9/11, and was senior rabbi at the Washington Hebrew Congregation. Healing Psalms is his third book. Everyone is looking for a bargain nowadays. People go to yard sales, auctions, and flea markets wanting to discover something of value. One of the greatest treasures we have is the Bible. There are wonderful truths buried in the pages of this book that will help us discover our worth and value. God has given us a map, and I pray that I have laid out clearly the signs to help us arrive at our destination. 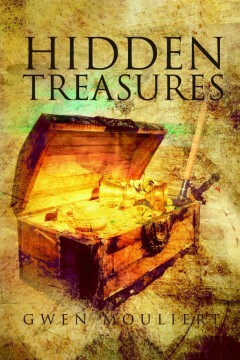 In Hidden Treasures, you will discover how to hear the voice of God and you will learn steps to achieve ongoing victory. Join me now on one of the most exciting treasure hunts you have ever been on. Dedicated to the Word of God, Gwen Mouliert is a celebrated author, evangelist, pastor, and teacher. For over thirty years, Gwen has ministered extensively across the United States, Canada, Europe, and Africa. As an international and regional conference speaker, Gwen has been faithful to compel God’s people to live victoriously through applying the Word of God. Full of wisdom and revelation knowledge, Gwen utilizes a blend of strong, sound, practical biblical teaching and humorous life lessons to transform the lives of those who have an ear to hear what the Spirit is saying. Gwen’s passion is to fulfill God’s mandate to equip believers to find hope and restoration through the redeeming work of Jesus Christ. His unique anointing will heal your heart, refresh your spirit, and bring you closer to the Lord. Behind the seven symbolic annual festivals, established by God for Israel soon after crossing the Red Sea, were hidden God’s seven strategies for the salvation of all men! 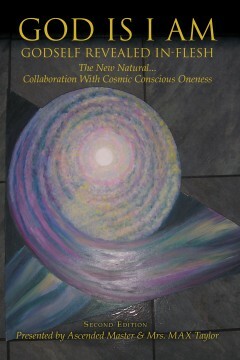 This 200-page book is an expose of these divine strategies. God today commands believers everywhere to unite on these grounds. It is the revelation of the moment, a must-read for all Christians, Jews, and Muslims! 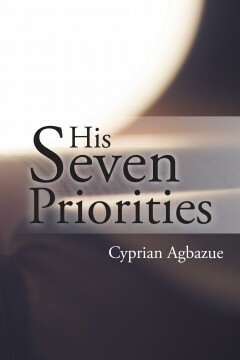 In this thought-provoking and highly revealing book, Cyprian Agbazue sets out not to reinvent parroted ideas and knowledge about the Scripture. He reaches for an inner understanding of God’s plan and purpose for mankind…just like the hidden treasures of God, His Seven Priorities lays them bare for the spirit-filled mind. With this volume, Agbazue indeed arms the believer for life’s many struggles. Cyprian Agbazue is the president of the International Foundation for Christian Unity (IFCU), a nongovernmental organization in Nigeria promoting worldwide Christian unity. A child of non-Christian parents, he was baptized into the Catholic Church at the age of nine. At thirty-five, he dropped out of the Catholic Church. In 1986, he rediscovered his faith in a Pentecostal Church. After two years, he was nominated for pastoral ordination, but hours before his acceptance, the Lord redirected him back to the Catholic Church. Eventually he became an impactful leader within the Catholic Charismatic Renewal of Nigeria and later the Vice Chairman of the Parish Pastoral Council at Archangels Catholic Church Satellite Town in Lagos, Nigeria. Cyprian Agbazue is married to Chinyere Agbazue, a medical practitioner, and they are blessed with three adult sons and a daughter. He is currently a National Director serving in the South-West Region of the Full Gospel Business Men’s Fellowship International.